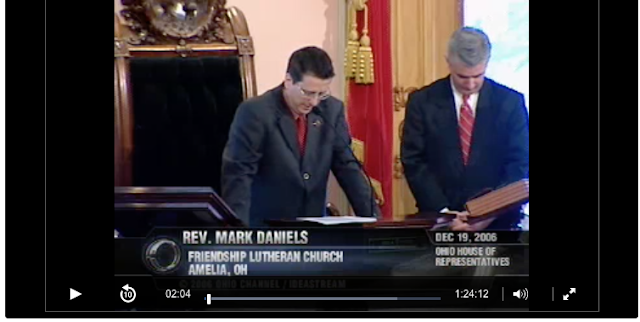 Back on December 19, 2006, my dad and I went to the Ohio State House, where I provided the opening prayer for that day's session of the Ohio House of Representatives. I was invited to provide the prayer by Representative Joe Uecker, who beat me and three other candidates when we ran for the House two years earlier. It was an honor for Joe to ask me to provide the prayer and it was meaningful for me for two big reasons. One is that I formerly worked for the House. I supervised the 85 college-age pages there. I got a birds-eye view of the legislative process and was impressed. It was fun to be back in the chamber, which I had visited many times as a boy. Back then, I walked around the State House, soaking up the history and imagining one day that I would serve as an elected official. That never happened, of course. God put another call on my life and I've come to regret having run for office while serving as a pastor. But the Ohio State House is my favorite of all the state capitol buildings I've been to through the years. The other reason this visit was so meaningful is that my Dad was with me. Dad had never been to the State House before, although he's a lifelong Ohioan and became a full-time resident of Columbus in 1954. But it was, as always, just great being with Dad. After the session, my dear friend Tom joined us for lunch. My sisters are helping my dad clean out his attic right now. The house was built by my mom’s parents in 1950. The other day, the girls (despite our respective ages, they are always the girls and my brother and I are always the boys) found a box filled with photos of people none of us could identify. They were almost all taken at photography studios along North and South High Street in Columbus. My guess is that they were probably acquired by some family member in hopes of using them in a craft project or, likelier, they may have been among the refuse found by my grandfather in his many search-among-the-trash missions. But in the box of those studio photos were two family snapshots, seen here. 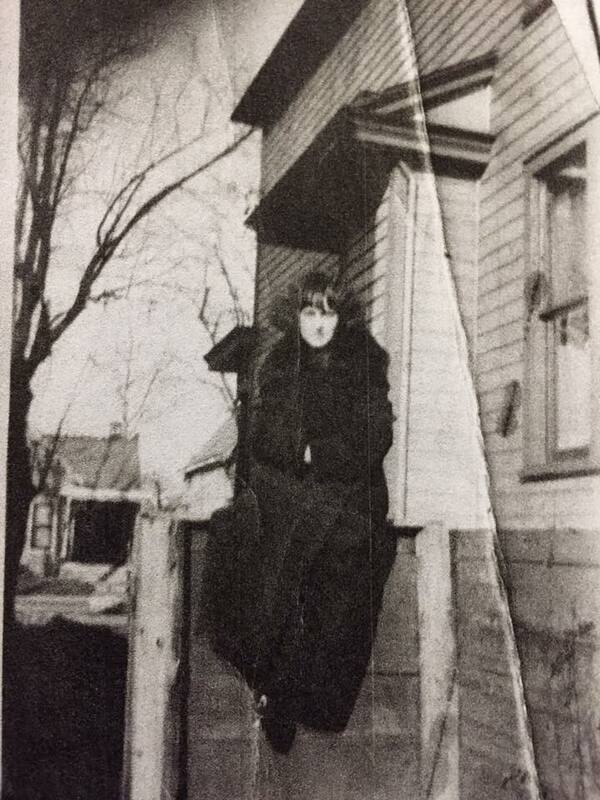 The first is of my grandmother, no doubt taken in her teens while she still lived in Columbus’ Linden area. (My great-great-grandfather, Martin Ranck, a carpenter and former schoolteacher, built a number of homes in Linden.) This would have been in the 1920s, shortly before my great-grandparents moved the family to the Bottoms, Columbus’ near-west side. My grandmother was a member of Central High School’s first graduating class in 1925. In the picture, my grandmother looks as though she could easily be transported to today. Though in later years, she became a whining passive-aggressive, in those days, I think she was a handful, who liked and was liked by the boys. When I saw the second photo, I immediately spotted my mom. She’s in the center, unmistakable. The back of the photo has a caption that says it was taken on February 28, 1941, making mom exactly nine years and four months old. 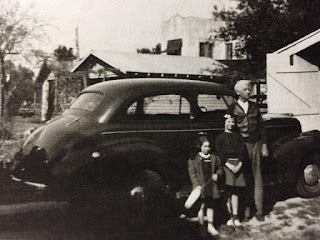 The caption also says that the other two in the picture are “Uncle Burt” and “the little girl next door.” Because my mom’s middle name is misspelled (Jean instead of Jeanne), I imagine the picture was taken by someone other than her parents, probably one of my great-uncles. None of us knows of an Uncle Burt. But I’m guessing it’s one of my great-grandfather’s brothers or brothers-in-law. My mom died earlier this year. My grandmother passed in 1991. There’s a treasure trove of history in every family tree. These pics were interesting for me to see. By the way, my sisters also uncovered three songs in sheet music. One was copyrighted 1910; the other two were from 1917. The latter were both songs about young men leaving their families, their mules, and their sweethearts, in that order, to fight in the First World War. One song also extolled the leadership of President Wilson. The last point is unsurprising because my great-grandparents were staunch Democrats. My grandmother often told me how the Republican kids would taunt her and other kids from Democratic families for their political allegiance, telling them, "Beans is good enough for Democrats." The 2018 Rock and Roll Hall of Fame class was announced yesterday. It includes the Moody Blues and Nina Simone. Back in the day, I was into the Moodies. But in listening to them more recently, I find their lyrics, which play for profundity, embarrassingly pretentious. They belong in the Hall, I believe, because, through their use of symphonic flavorings, they helped show how rock and roll's pallet could be expanded. Two other bands in the class, I think, have produced enduring work without any pretense. They just created good songs: Dire Straits and the Cars. Very different bands, they managed great sounds without seeming to take themselves too seriously. Here's the Cars' Drive, a pop-rock ballad. The lead singer is the late Benjamin Orr, the bassist. Lead singing was usually handled by Ric Ocasek. I suppose that most people would say that Dire Straits' best LP was Brothers in Arms. I agree. Guitarist and songwriter Mark Knopfler created a varied collection of tunes on this one. This one, Ride Across the River, is one of my favorites. It's kind of an ambient piece without being, you know, boring. I speak as one who, thirteen years ago, made the mistake of running for public office while serving as a pastor. While I was always quick to say that I was not a “Christian candidate” or that I knew what God’s politics (I don’t believe there is such a thing) was, running was a terrible risk. Why was it a risk? Because it risked alienating people from Christ, the Gospel, and the Church when people heard a pastor advocating particular political ideas. No political idea is worth losing the chance to commend Christ’s saving gospel, which is the only way to forgiveness of sins and life with God. Nothing is important as that. If I’m going to offend people, I want to do it by lovingly lifting up Christ, “the way, and the life, and the truth” (John 14:6). I've written before that there are exceptional circumstances when the Church and its clergy will feel called to speak up about political issues. This applies especially when one feels that injustices are being committed. But such speaking should never be done in the service a political party or candidate, so as to avoid subordinating the gospel message to a human message or a human being. To subordinate anyone or anything to Christ and His gospel is to engage in idolatry, a violation of God's First Commandment: "You shall have no other gods before Me." I pray fellow clergy and church bodies, both politically right and left, will stop playing politics and instead proclaim Jesus Christ! I try to start most days in quiet time with God. Here you'll find how I approach this time each day. Below is today's journal entry from my quiet time. As the end times unfold, God allows Satan and his demons to do their worst to the whole human race not yet marked for salvation. By three different plagues, a third of the human race is destroyed. Yet we see here that the survivors don’t repent and, in fact, continue their unrepentant living: worshiping idols, murdering, relying on dark arts, committing sexually immoral acts, stealing. For them, eluding the torments of the devil and the wrath of God endows them with a feeling of invincibility, I think. Since they haven’t yet experienced the consequences of their selfishness and idolatry, they seem to think that no consequences will ever occur. They refuse to repent. They are apparently unmoved either by Law or Gospel. They put their trust in themselves and in their “idols that cannot see or hear or walk.” They think everything is OK. But just because I'm OK, it doesn't mean I'm OK. When we’re chasing after the things we want, even if they’re contrary to the will of God, we can be facile in shielding ourselves from all that God tells us through His Word, experience, the input of friends, and the pangs of our conscience. We ignore those signs. We easily become dumb (like our idols) to the signs of God’s displeasure with our sin We hypocritically pursue our own selfish ends, ignoring the clearly-revealed word of God. We follow the ways of death instead of the one way of life (John 14:6; Matthew 17:13-14). I used to think like these people and am sometimes tempted to do so even now. I even sometimes allow myself to be deluded by my sinful nature into thinking that if I do a sin it must not really be a sin because I’m a good person. But I’m not a good person. I’m a saved person, saved by the grace God gives to sinners who daily turn from sin and daily trust in Christ above all. When God’s Spirit incites me to confess again that Jesus is my Lord, God come to earth, I’m set free again from these delusions. In this confession, I am confessing Him as the only One Who can save me from my sins and the only One Who can give me life with God. Jesus is the name above all names (Philippians 2:9). On Thursday, Bloomberg Businessweek reported the latest trend in Silicon Valley. The tech businesses there are bringing in models and actors, male and female, who are given fake biographies and sign non-disclosure agreements, to show up for companies’ Christmas parties. They’re supposed to bring some life to the otherwise dreary gatherings of tech geeks. Believe it or not, as a different kind of geek myself, this story made me think of John the Baptist. John, the Baptizer, first-century outspoken and ill-clad man of God, would never be hired by the mavens of Silicon Valley to spread Christmas cheer among their twenty-first century employees. And yet, during Advent every year, as we Christians gather to worship God and prepare for Christmas and for eternity, we invite John to speak to us and, in a different way, liven things up. 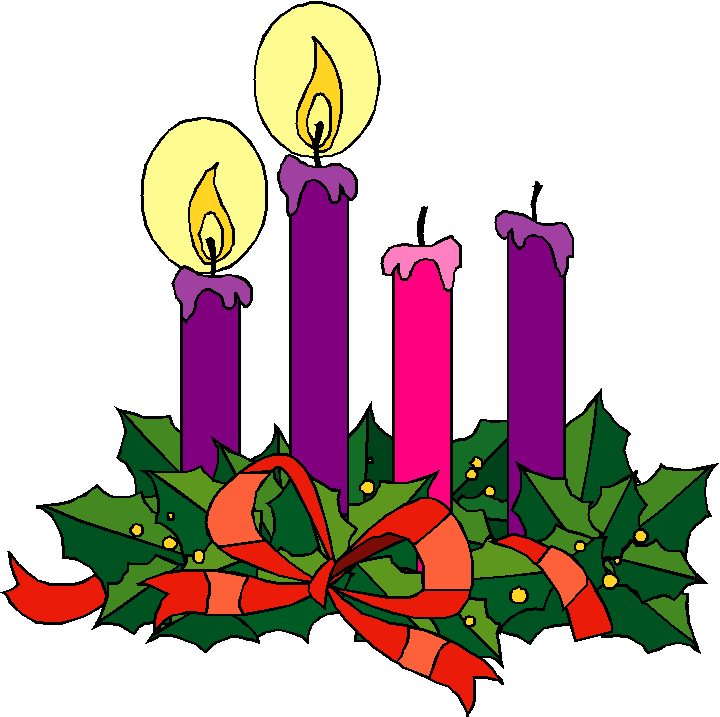 That’s true again on this Second Sunday of Advent. I think so, because, unlike the models recruited for high tech Christmas parties, telling people the things they want to hear, John came into the world to tell people, including you and me, what we need to hear. Mark is here signaling that the entire succeeding sixteen chapters are just the beginning of the gospel, the good news of new and everlasting life with God for all who repent and believe in Jesus Christ. Jesus’ life, death, and resurrection are just the beginning of what this gospel--this good news--is doing. The fact that you and I are here this morning testifies that the gospel is still at work giving life to all who believe. And it will keep on giving those who trust in Christ life for all eternity! This good news, as Mark says, is “about Jesus the Messiah, the Son of God…” The phrase, Son of God, doesn’t mean that Jesus descended from the Father. It means that He is one with the Father. He is the Messiah, God’s anointed King, to be sure. But He is also God Himself. By the way, this is a good time to mention someone is invited to all Christmas season gatherings, sacred and secular every year: Saint Nicholas. Nicholas, celebrated every year as a gift-giver, was a bishop and theologian. 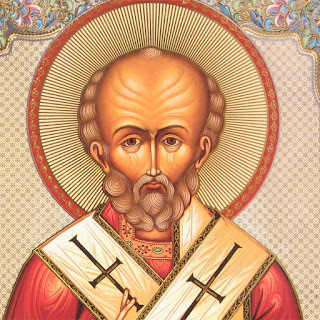 History tells us that he was so committed to biblical truth, that no heresy ever arose in the diocese of Bishop Nicholas. He also reportedly smacked or punched a guy named Arius in the nose for saying that Jesus was only "like the son of God" and not actually the "Son of God," as Mark says in today's gospel lesson. Arius and the adherents to his ideas claimed that God had created Jesus before Jesus came to earth. They repudiated the idea that Jesus had been God the Son before He was born in Bethlehem. Mark tells the good news about Jesus, the Messiah and the Son of God. In verses 2 and 3, Mark cites two passages from Old Testament prophecy, Isaiah 40:3 and Malachi 3:1. Hundreds of years before the births of either John the Baptist or Jesus, these words point to a messenger, a voice, who would prepare the world for meeting the Son of God. Mark says that that messenger/voice was John the Baptist. But, John is preaching that if his fellow Jews want to be ready for the Son of God to enter their lives, or to become part of the Messiah’s eternal kingdom, they needed to repent for their sin. They too were unclean. They too needed to own their sinfulness. They too needed to receive God’s forgiveness. Now, in other times, Jews would have completely repudiated John’s message. And some, most notably King Herod, would repudiate John. Ultimately, Herod would have John killed. And, let’s be honest, most of the time, you and I don’t like to hear the truth about our sinful natures or our sinful actions. When I get called to the carpet for my sins, whether by other Christians or by God and His Word, I don’t like it. When this happens to us, we want to dismiss both the message and the messenger. There are probably two reasons for this astounding response to John’s preaching. One, of course, is that John was moving on God’s timetable and in response to God’s call. The other is that the people of the Judean countryside and those in Jerusalem--the hayseeds and the sophisticates, notice--were living in desperate times. They were under the boot of Roman occupation. They were largely poor and destitute. When we are vulnerable, we see reality more clearly. When things are going well--when we’re doing OK financially, we’re healthy, or our families are seemingly functioning well, it’s easy to delude ourselves with the idea that our good fortune stems from our virtue and goodness. It’s easy to fool ourselves into thinking that we’ve got everything under control and don’t need God. Or at least that we only need Him on the edges of our lives, when we can fit Him in. But when life makes us vulnerable, we see how much we need God. Vulnerability also causes us to look at our own characters, our faults, our sins. Until we’re aware of our own vulnerability, we won’t be open to God. 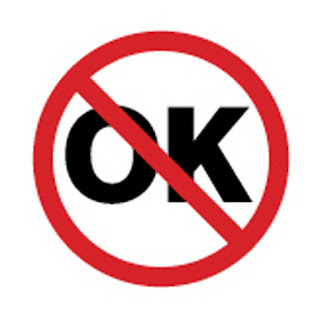 Nor will we be open to our need for repentance and forgiveness. The people who thronged to meet John in the wilderness were vulnerable enough--honest enough--to confess their sins and trust in God so that they could be ready to meet Jesus. Are we living our lives with the same kind of vulnerability so that we’re ready to meet Jesus whenever it happens? Now, John’s baptism was only a symbolic action. It was a way for repentant people to outwardly demonstrate to God, themselves, and others that they wanted to turn from sin and live under the gracious reign of the Son of God. But, at the end of our lesson, John points to another baptism, a baptism instituted by One greater than John. 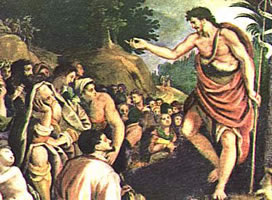 There in the Judean wilderness, John was pointing away from himself and from his symbolic baptism. Instead, he pointed to Jesus and to the sacrament of Holy Baptism in which God, without our help, gives us life and makes us His own, gives us a share in His crucifixion, where our death is atoned for, and a share in His resurrection. John is pointing to the time when all believers baptized in the name of God the Father, God the Son, and God the Holy Spirit, will be able to live with the Son of God Who the crowds who thronged to John in the wilderness waited for. As twenty-first believers in Jesus, we also wait, of course. But we don't wait for Jesus to show up and do something. We know that Christ has already done something. He already has appeared and already died and risen for us. He already has conquered our sin and our death for us. He already has set apart baptized believers to be His for eternity. What we wait for is Jesus to return. We wait to meet Jesus. We need not fear facing Jesus or facing the death that will likely precede that moment. If, like those vulnerable and open people in the Judean wilderness, we will daily turn from our sin and trust in Christ, the God Who has set the fire of the Holy Spirit ablaze within us in our Baptisms, empowering us to believe in the crucified and risen Jesus, we can rest assured that the moment we meet Jesus face to face will be infinitely and eternally more joyful and wonderful than we can imagine. And that joy and wonder will never go away. Nor will it ever be taken from us!